Sarah's Stamp Lab: Steppin It Up! 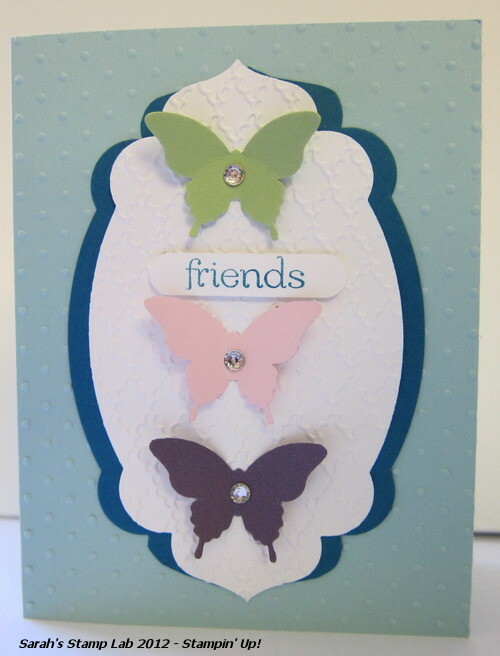 Today I am featuring two cards that I made at a recent Stampin' Up! party. 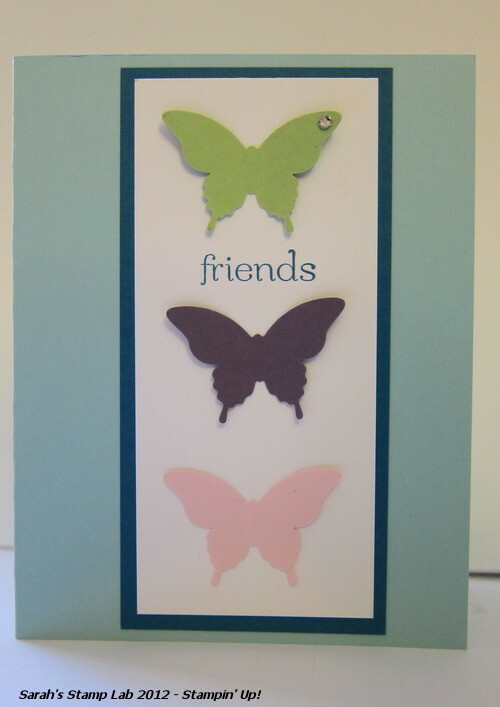 I wanted to first show the attendees how to make a very simple, yet elegant card for any occasion. 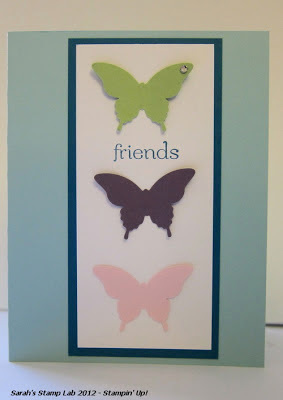 Then I demonstrated the same card, but just by adding a few additional items I was able to really "Step It Up"! Here's the first card. It's super simple, has a bright, cheery color scheme, and is perfect for birthdays, thank yous, or just a "Hey I'm thinking about you" note. Fun isn't it? Next time you make a card, why don't you try to make a stepped up version as well? I'd love to see it! Add these on to the list for card 1! Hope you have enjoyed reading about how to Step Up a card! Look for more posts like this in the future!